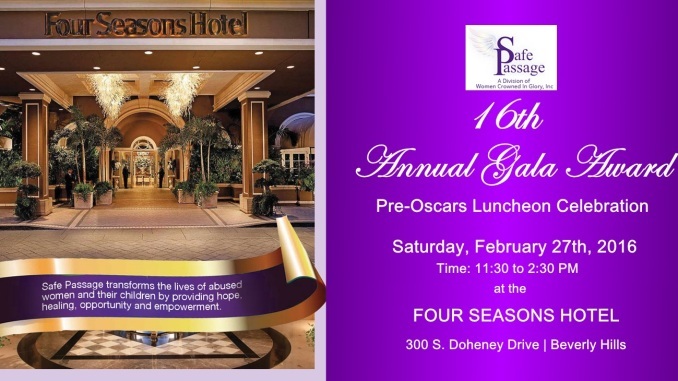 Come together for the Safe Passage Awards Gala. This annual event honors the artists, activists, survivors and motivational figures that inspire us to continue to rise above domestic violence. Safe Passage is a charity that supports victims of domestic violence to break the cycle of domestic abuse by healing and empowering women and their children, enabling them to live new, safe and productive lives. Now in its 16th year, Safe Passage celebrates this annual event in order to raise awareness for domestic violence and the many levels of work necessary to support victims and survivors. The glamorous afternoon of awards, entertainment and networking will be hosted by model, actress and advocate Sophie Turner and Emmy award winner, actor & curriculum creator Kiko Ellsworth. Safe Passage President, law graduate and DV advocate, Sophie Turner will host this year’s event alongside Jim Hill and Kiko Ellsworth. As a former survivor of domestic abuse, Sophie passionately advocates for women and their children, and assists in raising funds and awareness to support this critical cause. 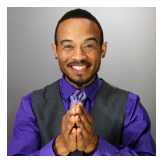 Former VP & Self- Defense Coordinator for Safe Passage, Kiko Ellsworth is honored to be back and host this years Gala with new Safe Passage president Sophie Turner. Mr. Ellsworth continues his dedication to empower the feminine by awarding victims of DV worldwide full scholarships to his online Total Empowerment School coming the Spring of 2017. Visit IamKiko.com for details. Safe Passage, DBA of Women Crowned in Glory, Inc. is a non-profit 501(C)3 corporation with a purpose to shelter, educate, equip and direct women and their children of domestic violence to safety and a new life.